RAPID CITY, S.D. - Sturgis scored 2 runs in the first and another 2 runs in the second to take a lead they would never reqlinquish as they defeated Miles City 6-4 Sunday. David Anderson helped lead Sturgis with 3 hits while Brian Duran scored 2 hits. Anderson also added 2 R.B.I. 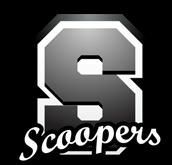 's for the Scoopers. Colton Cruickshank got the pitching win, going 3 innings. Sturgis added runs in the 5th and 6th inning, below allowing 2 runs in the top of the seventh as Miles City attempted a comeback.